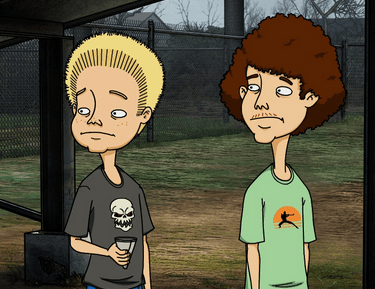 ELEVEN will screen the short-lived animated series Unsupervised about 2 fifteen year olds living life ….. unsupervised! This ran on FX in 2012 for one season. Featuring the voices of Justin Long (Going the Distance, He’s Just Not That into You) and Kristen Bell (Veronica Mars, Forgetting Sarah Marshall), Unsupervised is an animated comedy about optimistic best friends Gary and Joel, who navigate the harsh landscape of teenage life and try to do what’s right without any parental guidance whatsoever. 10pm Wednesday September 4 on ELEVEN.